PLEASE NOTE: This competition is now closed. Keep an eye out for more great competitions on the musicMagpie Blog soon! If Christmas and New Year has left you bloated and broke, our #mymusicMagpie competition will slap a smile back on your face. We’re giving you the chance to win an Xbox One with 1TB storage, plus Fallout 4 and Halo 5: Guardians to go with it. Not only that, we’re also chucking in £40 Xbox Live Credit for all that extra DLC and a £50 Odeon gift card – if you ever manage to pull yourself off your sofa. It’s easy to enter – either tweet a photo of the stuff you’re trading in with us using #mymusicMagpie, or directly upload it into our gallery here. So now you get cash for your unwanted CDs, DVDs, Games and Electronics and have a chance of winning an epic prize too. Who ever said January was the worst month? 1. 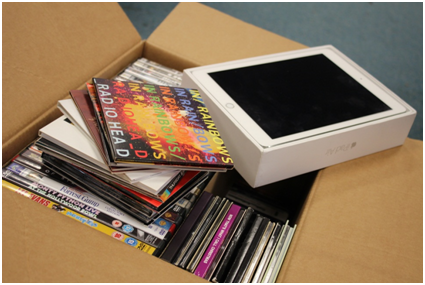 Snap a photo of your musicMagpie order before you send it off to us. Be as creative as you like – let’s be honest, a sealed box looks pretty boring. 2. 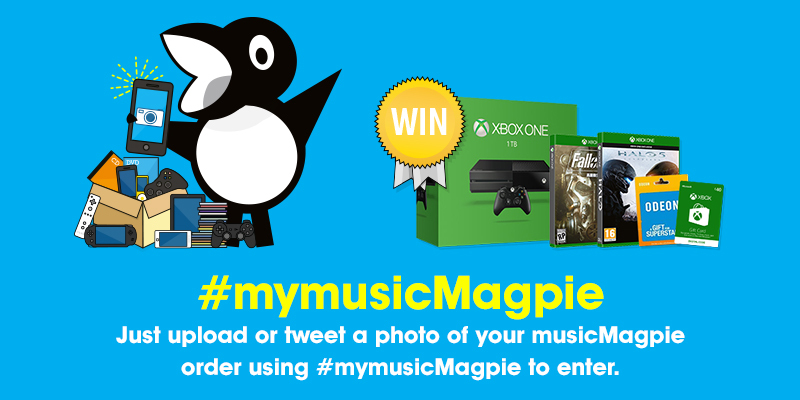 Either tweet your photo using #mymusicMagpie, or directly upload it into our gallery here. 3. Get cash for your unwanted stuff and get entered into a competition with an epic prize! The competition will run until midnight 7th February 2016, and then we’ll chuck all the entries into a prize draw, and pick one lucky winner. We’ll be sharing some of our favourite ones along the way too, so get snapping. For the full Terms and Conditions for the competition, click here.